Appearance: ‘Muddy’ Charcoal grey tones with fine, candid grains and striking white veining throughout. 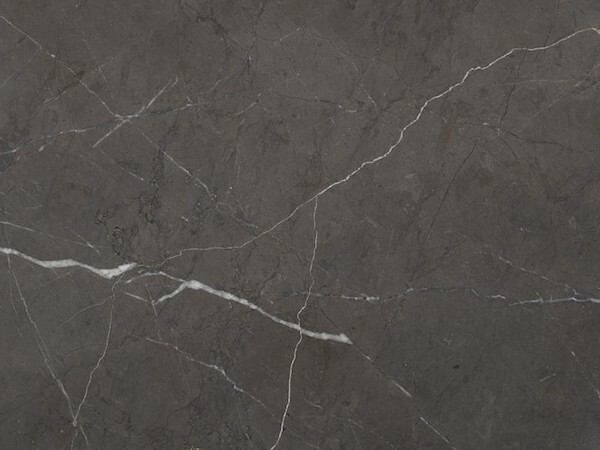 Properties: This unique marble is hard and durable and, if selected carefully, it offers a consistent background colour. Like all natural stone, it has variations in colour and texture, and shades may vary from the sample supplied. We recommend that all marble is sealed with a penetrating sealer prior to installation to protest the surface and extend its longevity. Use: The on-trend colour of this marble makes it the perfect choice for bathrooms, kitchens and most internal applications. Aesthetically pleasing and a bold choice for many interior designers and architects, this marble is the ideal option for that standout bathroom or kitchen. Projects: Saint Martin’s Lofts, London.